Robert Händel is a solar industry veteran with 20 years of experience in the Photovoltaic Industry throughout the value chain. He is the Founder & CEO of Opes Solutions, a leading supplier of solar modules for off-grid power supply. Previously he held various positions as CCO Innotech Solar, Norway/China, President Solarworld Americas and Sales Director REC Solar Europe to name a few. 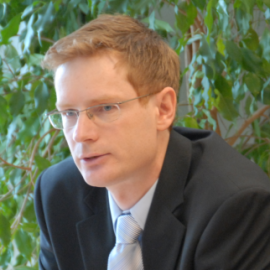 Robert holds a Master Degree in Mechanical Engineering from University Dalarna/Sweden and is Board member of Soleg AG, a solar system integrator in Germany.